The first exercise is the gap fill. Students work in pairs and try to complete the questions about houses.They are given the first letter of each word. Once finished they ask each other the questions. 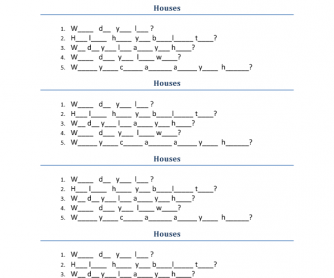 The second worksheet is a matching exercise about different types of houses. 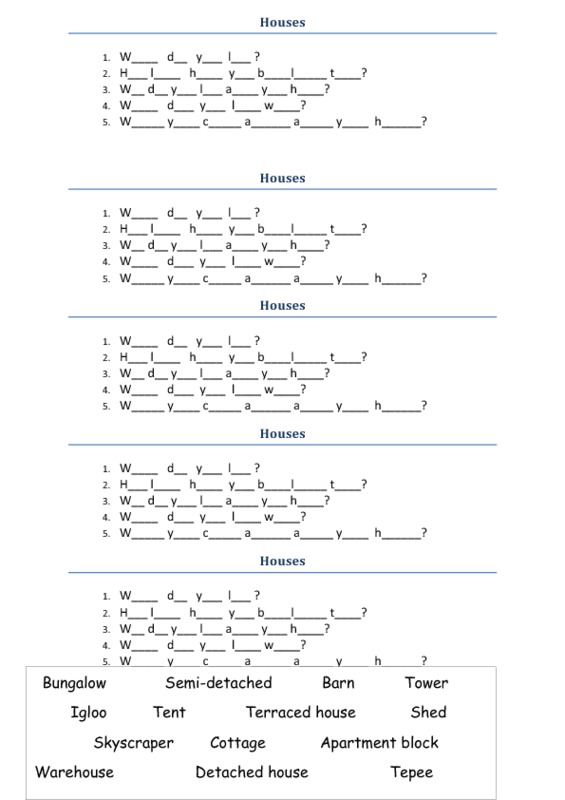 The third worksheet 'Home sweet home' is also a matching exercise. It can be easily followed by a quick speaking activity about students' homes.